Fascinating and fabulous, this exquisite Flair prom dress 19092 will enchant all. 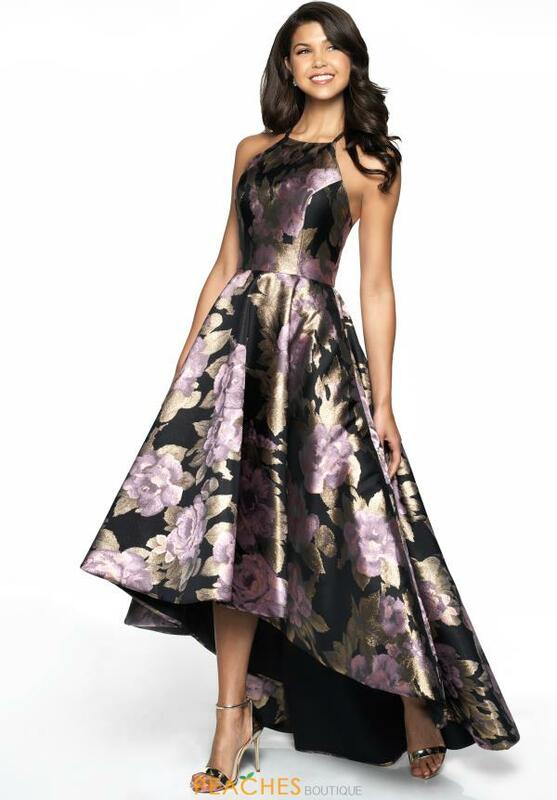 Made in a vivid floral print, this charismatic gown features a high neckline and high low hemline. Picture your self making an everlasting impression in this astonishing ensemble, a perfect choice for any social occasion.